Spectacular 3 level townhome located in the urban setting of the Tribeca and Spectrum Center close to pool and spa! Unique features with great natural light with open floor plan, high vaulted ceilings and two spacious master suites. The kitchen features beautiful wood cabinets, all stainless steel appliances upgraded and relatively new and a cozy breakfast area leading to deck. 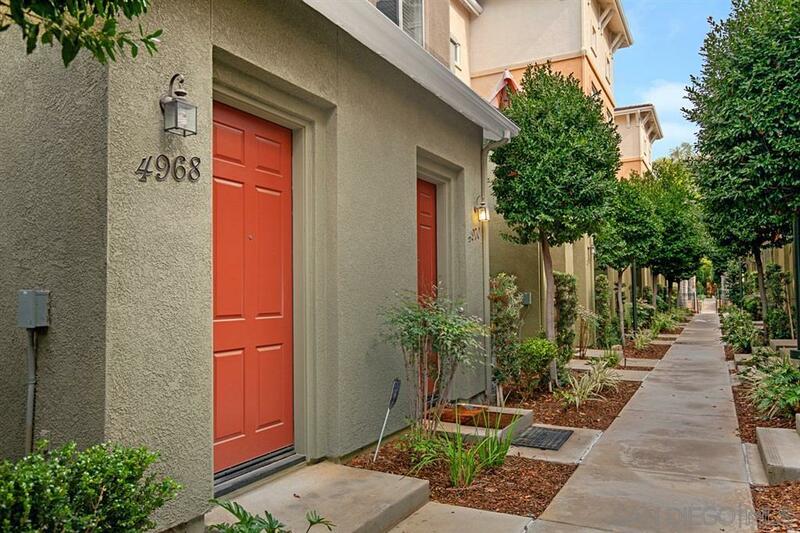 Extra features include additional 60' closet lockable and deep heavy shelf closet lockable., Centrally located to freeway and just an uber ride away to the beach, downtown, Old Town, UTC, Mission Valley, Sharp and Kaiser Hospitals.